I’m excited to announce two upcoming demos and a workshop I’m co-teaching with my artist friend Che Lopez. Che and I love painting together and will be sharing our favorite kits, tools, and techniques for field sketching and painting at Daniel Smith in Seattle and Bellevue. Our free demos are Saturday, May 28th in Seattle 11—12:30pm and Saturday, June 18th in Bellevue. Join us in Seattle July 9-10 for our workshop, Explore the Urban Wild. On day one we will meet at Daniel Smith Seattle to practice sketching fundamentals, composition, and color mixing. 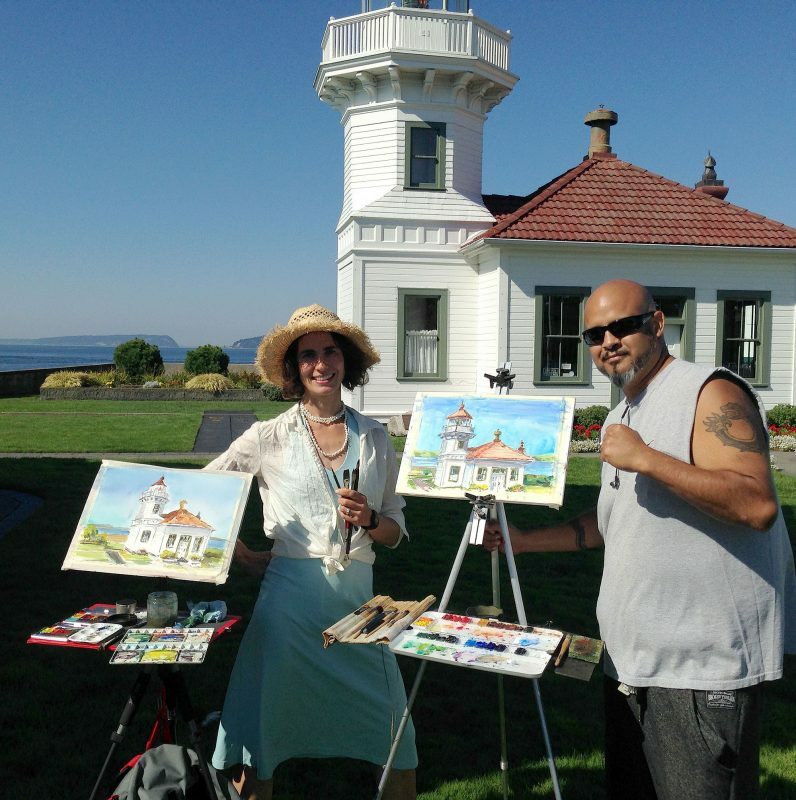 The next day, we will meet at Gasworks Park for a day of painting together. 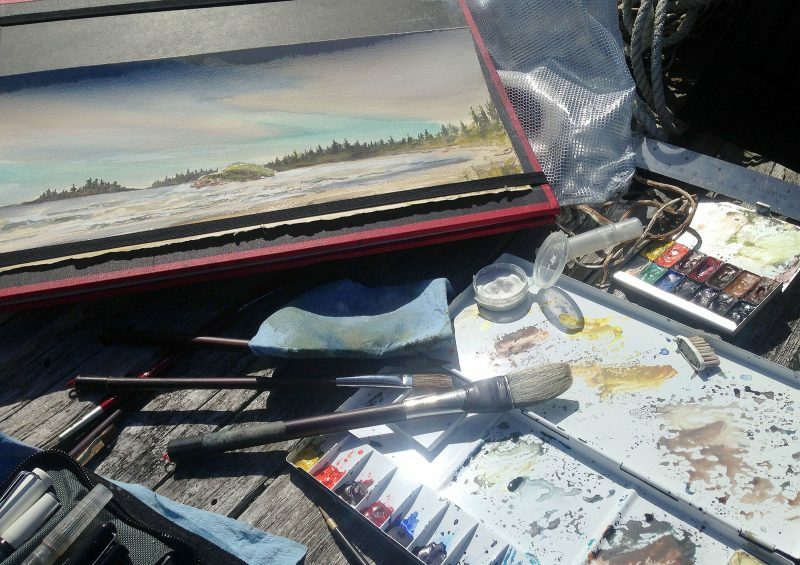 I’ll be sharing my favorite ink and watercolor techniques for landscapes and Che will share his approach to larger watercolor paintings and sketching people. $200, please call Daniel Smith to reserve your spot! (206) 223-9599.